I was given an old safe – would it be worth fixing up? We would be happy to take a look and tell you – it all depends on the value and age of the safe. A free service call should let you know. I have an antique safe that I’d like to fix up – what restoration services do you offer? We can do anything! But we only take on detailed restoration projects for safes with some VERY special character, and even those on a case by case basis. 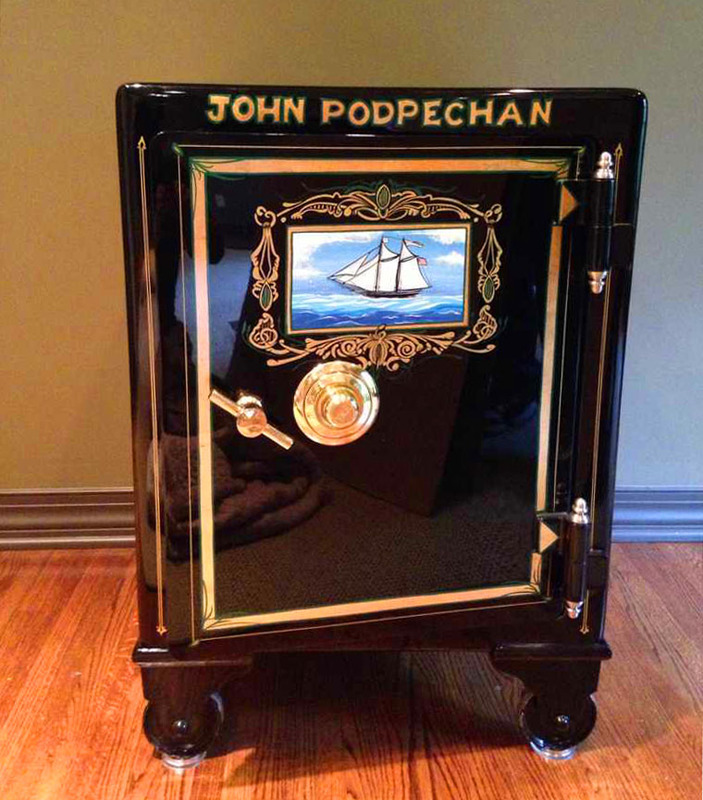 We have enjoyed working on some truly spectacular heirloom safes in the past, adding details such as replating the hardware in gold, brass or nickel, restoring original gold leaf lettering, refreshing handpainted artwork, and adding custom woodwork interiors.